Stocks rallied solidly today on hopes for housing, but Facebook (FB) was battered. Shares of the social-networking site dropped $3.07 to $28.84. They're now a whopping 26% below $38, the price at which the shares went public on May 17. The stock fell on talk Facebook was in discussions to buy Oslo-based Opera Software (OPESY), developer of a browser for smart phones. Analysts said competition from Google (GOOG) and others could push the price tag of any deal above $1 billion. In addition, there was new talk Facebook may be working to market a new smart phone. Facebook's woes come as investors were cheered by a report showing more stability in the housing market. But worries about U.S. consumer confidence and a downgrade of Spanish debt combined to trim gains. The Dow Jones industrials ($INDU) closed up 126 points to 12,581. The close was a nice rebound from 12,515, the level at 1:25 p.m. ET. The blue chips had been up as many as 157 points around 10:45 a.m. The Standard & Poor's 500 Index ($INX) was up 15 points to 1,332, and the Nasdaq Composite Index ($COMPX) had gained 33 points to 2,871. The Nasdaq-100 Index ($NDX), heavily influenced by Apple, gained 32 points to 2,559. Apple (AAPL), up $9.98 to $572.27, contributed more than eight points of the gain. Reports suggested a new Apple television might come out in time for Christmas. Wednesday's market features reports on mortgage applications from the Mortgage Bankers Association of America and pending home sales from the National Association of Realtors. Thursday will bring reports on private-sector jobs from ADP, mass layoffs from Challenger Gray & Christmas and a major revision of gross domestic product. On Friday, the Labor Department will report on payroll employment and unemployment. Also due are reports on May auto sales and the Institute for Supply Management's May manufacturing index. Futures trading suggests a modestly lower open for U.S. stocks on Wednesday. For the record, the Dow is down 4.9% for the month, with the S&P 500 off 5.1% and the Nasdaq down 6.5%. For the year, the blue chips are still up 3%, with the S&P 500 up 6% and the Nasdaq up 10.2%. After the close, Research In Motion (RIMM) announced it expects an operating loss for the fiscal first quarter. Analysts were projecting earnings of 43 cents a share, down from $1.33 a share a year ago. The company also hired J.P. Morgan Securities and RBC Capital Markets to help the company in a strategic review. The company did not say it has put itself up for sale, although many analysts believe it probably is looking for a buyer. Nor did it say it was considering asset sales. Shares fell more than 11% to $9.93 after the statement was released. But the shares were $10.35 at 5:30 p.m. They had closed at $11.23, up 23 cents. Stocks of companies with heavy reliance on non-U.S. revenue also boosted the market, including IBM (IBM), Caterpillar (CAT), United Technologies (UTX) and 3M (MMM). Crude oil (-CL) in New York and gold (-GC) were initially higher but fell back as the euro declined against the U.S. dollar. The euro fell after Egan-Jones, a smallish rating agency, downgraded Spanish debt as confusion mounted about how the country planned to finance a bailout of its third-largest bank. The downgrade came after stock markets in Europe closed generally higher. Spain was the exception. Polls suggested that Greece's New Democratic Party, which supports the country's remaining in the eurozone, would win the country's June 17 election. Twenty-five of the 30 Dow stocks were higher, led by Caterpillar, Alcoa (AA) and United Technologies. Energy was the top-performing S&P 500 sector. Tops in the index was Peabody Energy (BTU), the coal producer, after an upgrade, followed by financial services company Genworth Financial (GNW), defense contractor SAIC (SAI) and Chipotle Mexican Grill (CMG). Chesapeake Energy (CHK), the large and troubled natural-gas and oil producer, was up 54 cents to $16.35. Activist investor Carl Icahn announced a 7% stake in the company last week. A total of 451 stocks in the S&P index were higher today. Crude oil in New York settled down 10 cents to $91.76 a barrel. Brent crude was off 18 cents to $106.65 a barrel. The national average price of gasoline was $3.636 a gallon, according to AAA's Daily Fuel Gauge Report. That's down from $3.666 on Friday and down 7.6% from its peak of $3.936 a gallon in early April. The gain in oil prices was the catalyst for rising prices for energy stocks. 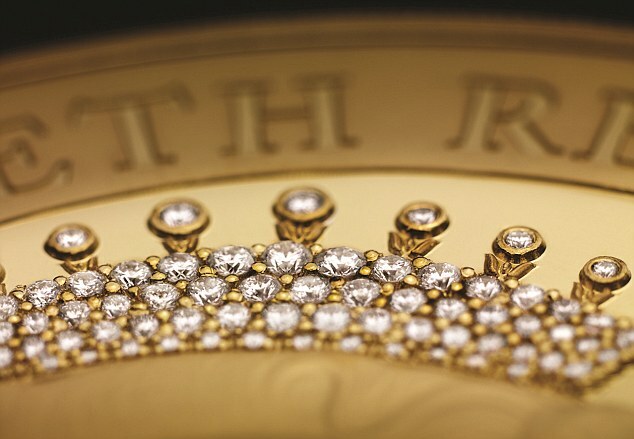 Gold settled down $20.20 to $1,548.70 an ounce. Interest rates were lower, with the 10-year Treasury yield falling to 1.731% from 1.745% on Monday. The Standard & Poor's Case/Shiller Home Price Index of 20 cities for March fell 2.6% from a year ago, as expected by economists surveyed by Reuters, after a 3.5% decline in February. But month-over-month, home prices rose in most major U.S. cities for the first time in seven months, up a modest 0.09%. Some markets, including Charlotte, Denver, Dallas and even Phoenix, saw prices gain on a year-over-year basis. Prices hit new lows in Atlanta, Chicago, Las Vegas, New York and Portland, Ore. There have been modest signs of improvement in recent reports on existing-home sales and housing starts. Homebuilding stocks were generally higher. The Philadelphia Housing Sector Index ($HGX) was up 3.14 points to 129.04. A drop in consumer confidence? The Conference Board said its read on consumer confidence for May fell to 64.9, the lowest of the year, from a downwardly revised 68.7 in April. Economists expected a reading of 70. Americans have become less hopeful about labor market and business conditions. The report seems at odds with a University of Michigan report last week suggesting confidence is building. Ian Shepherdson of High-Frequency Economics said much of the decline was prompted by lower stock prices. But gasoline prices are lower, which should improve consumer moods. But IHS Global Insight's Chris Christopher was gloomier. "Consumer confidence is having a very tough time getting out of recession territory," he wrote this morning. "Consumers face too many head winds such as high debt burdens, depressed home prices, a lack of confidence in the government's ability to make things better, volatile equity markets, and rising student loan balances." Singapore shares were lower at midday following two day of gains, easing on growing fears over Spain's banking and fiscal problems and on indications that China may take a cautious approach to further economic stimulus. The benchmark Straits Times Index was down 0.3 percent at 2,793.49, though above an intraday low of 2,779.31. DBS Vickers, which sees support for the STI at 2,780, said equities are oversold and may see a short-term bounce triggered by short-covering ahead of the Greece election on June 17. Commodity firm Noble Group Ltd bucked the trend to rise 1.8 percent to S$1.135, on a favourable earnings outlook and a sharp fall in its share price that has pushed the stock to an attractive level on a technical basis. Noble shares have fallen about 18 percent since the start of April, compared with a 7 percent fall for the STI in the same period. "Some foreign houses are adding long positions for Noble as their shares look oversold at current levels," said a local broker. The recent sell-down in equities offers a good chance to increase weightings in Singapore oil rig builders such as Keppel Corp and Sembcorp Marine, Nomura said. The broker kept its buy rating on both companies, and has a target price of S$13.80 for Keppel and S$6.08 for Sembcorp Marine. Curent levels are S$10.14 and S$4.50, respectively. Shares of Keppel, the world's largest rig builder, and smaller rival Sembcorp Marine have risen about 9 percent and 17 percent respectively so far this year. However, Sembcorp Marine plunged 12 percent and Keppel lost 8 percent this month alone a mid a global flight from riskier assets, worse than the benchmark Straits Times Index's 6.6 percent loss. "While new order momentum may slow in the coming quarters, given macro headwinds and weaker oil prices, we believe underlying long-term demand for offshore exploration and production remains robust," Nomura said. It highlighted that the industry would benefit from the recent new oil discoveries, while the move to deeper waters and frontier drilling is expected to support demand for high-specification rigs. OCBC Investment Research lowered its target price on commodity company Olam International Ltd to S$1.86 from S$2.24, saying growing uncertainty in Europe may continue to cause increased volatility in commodity stocks. Shares of Olam were down 0.9 percent at S$1.68. They have fallen about 21 percent so far this year, underperforming the Straits Times Index's gain of 5 percent in the same period. Olam said on Tuesday it would invest $240 million in its first sugar milling asset in Brazil, Usina Acucareira Passos S.A.
OCBC, which maintained its hold rating on the stock, said Olam's management believed the latest acquisition was part of its plan to boost its milling assets in large sugar-producing countries that have a cost advantage. However, the broker also noted that Olam expects sugar prices to continue to fall into the fourth quarter of the year, driven by the sugar surplus, but that prices should eventually bottom out before the mill reaches a steady state of production in fiscal 2016. Shares of medical device maker Biosensors International Group Ltd rose as much as 2.7 percent after it posted better-than-expected fourth-quarter earnings. Biosensors said net profit for the quarter rose 49.5 percent to $27.2 million, helped by a surge in sales and revenue from licensing and royalties. "(The) results exceed management's guidance. After investors' initial overreaction to price reduction fears in China, bargain valuations have emerged," said CIMB Research, which has an outperform rating on the stock. However, it cut its target price on Biosensors stock to S$1.82 from S$1.98, citing lower margin assumptions due to weaker average selling prices. Biosensors shares were up 0.4 percent at S$1.29, outperforming the FT ST Mid Cap index's 0.4 percent fall. The stock has fallen nearly 10 percent since the start of the year, against the index's 10 percent gain. OCBC also lowered its target price for Biosensors to S$1.88 from S$1.92, but kept its buy rating. Singapore index futures were down 0.6 percent on Wednesday, indicating the benchmark Straits Times Index is likely to fall. Asian shares slipped on Wednesday, hurt by fears that Spain's banking woes will push up the country's borrowing costs to unsustainable levels although falls were limited on hopes that Greece would stay in the euro zone and for China stimulus steps. A couple of weeks ago I wrote about my frustrating efforts to use various new mobile money applications on my phone. I promised then to have another go, to give up cash and try to pay by phone alone. So, how did it go? Not very well, I'm afraid. I started by loading up my phone with a variety of apps which - supposedly - would help me get by without cash or even cards. My main weapons were to be O2 Wallet and Barclays Pingit, two new services which allow you to send and receive money from your phone. But I also installed the Paypal app, and a range of others that allow you to buy a coffee or pay for a taxi from your phone. Within minutes of starting, I ran into trouble. It was my turn to buy the office tea and coffee round, and the coffee outlet only took cash. No problem - I would get my colleague Anthony to pay and refund him via one of my mobile money pay-by-text services. With Barclays Pingit playing up (I never got it to work, even after deleting the app and going through the lengthy verification system again) I turned to my O2 wallet. Just two or three passwords later, I had texted a £2.80 money message to Anthony. He spent days - quite literally - trying to make sure this and a couple of other payments from me made their way from his phone into his bank account. Much of that time was spent in increasingly intemperate phone conversations with O2. At one point the company told him their "triage unit" was on the case. Anthony's verdict? "No need for triage - it's terminal!" I quickly realised that although I wanted to rely solely on my phone, this approach wasn't going to work. I would need to use credit and debit cards as well, plus my Oyster touch-and-go card for travel around London. By paying for meals via my debit card - which meant I had to spend more than £5 - I did manage to get by without cash for a couple of days. Then I took a trip to Oxford and had my first failure. Getting on a bus to the city centre without a travelcard, I found myself obliged to dip into my pocket for some coins to pay the fare. And my bus trip proved a timely example of how useful mobile money could be if it were more widely adopted. On a busy route, every time we stopped dozens of school children and students queued to pay by cash, making our progress very slow. While neither of my mobile money services proved at all useful over the week, there were two things - taxis and coffee - that proved easy to pay for by phone. The taxi app market is now fiercely competitive and I found Hailo, a service that lets you order a London cab, pretty efficient at delivering a driver to me within five minutes. I also tried Ubicabs to order minicabs, and this again worked fine - although my driver ended up asking me to navigate to my destination. These services make it very easy to move around without cash or credit cards - if only in the London area - but they have one major downside. You end up racking up big bills without even thinking about it. The same applies with the Starbucks app, which allows you to load money onto a virtual payment card on your phone, then swipe your phone against a reader to pay for coffee or a sandwich. Because this was the only easy way I found to buy food from my phone, I ended up spending far too much on cappuccinos. When I ended my experiment, I breathed a sigh of relief - as did my colleague Anthony, who is still trying to extract from his phone the money I owe him. Trying to live off mobile money, which is supposed to make life easier, has been a stressful experience. The inevitable concerns about security are making most of these new services so complicated to use that you have to be slightly deranged even to bother. That is not to say the whole idea is doomed to failure. 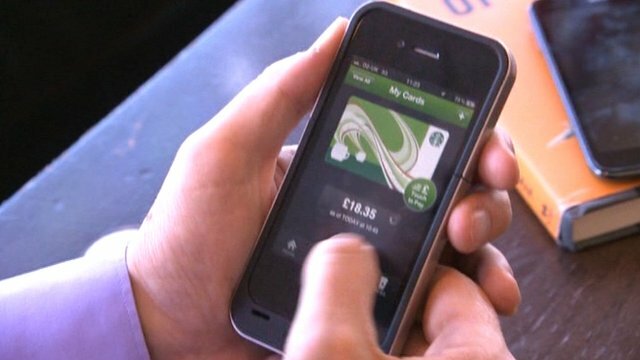 We will see further innovation over the coming weeks as payments firms unveil plans to allow visitors to the London Olympics to pay with their phones. But here's my advice to the companies pushing these services - your "triage units" are in for a busy time. Looks like Russell Grant in drag. 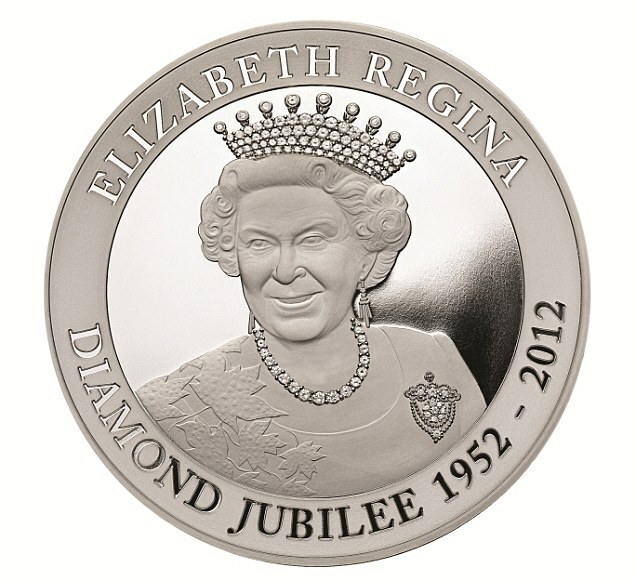 Pity they didn't get a portrait of HM for the coin.! It's just like one of those adverts you find in the back of Viz magazine..! Who cares..?? I'll stick to my everyday coins thank you.. Even if I had the money I wouldn't be spending it on something of the sort.. Waste of money I say.. Yet again something for the rich to invest in. 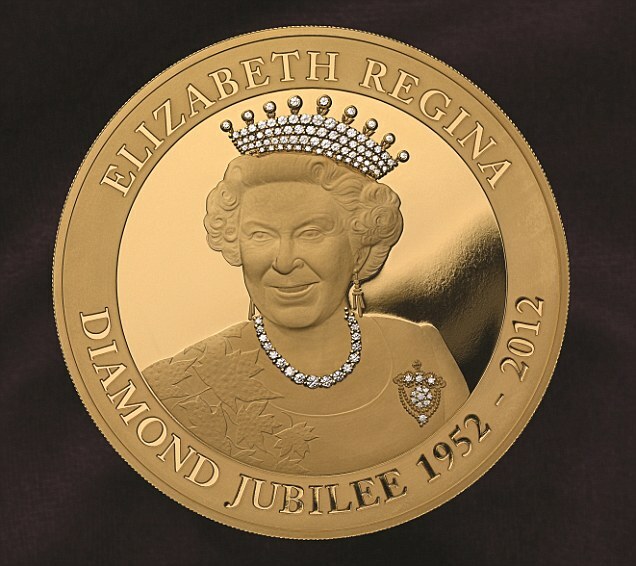 This is an awful image of the queen! Poor Queen. SHe looks as though somoene's poked her with a stick! US stocks rose more than one percent Tuesday helped by hopes that China will launch a stimulus program and signs Greece's elections might push through a euro-friendly government. But Facebook shares headed in the opposite direction again, dropping nearly 10 percent to $28.84, far below the $38 IPO price of May 18. At the close of trade the Dow was up 125.86 points (1.01 percent) to 12,580.69. The S&P 500 index gained 14.60 (1.11 percent) to 1,332.42, while the Nasdaq added 33.46 (1.18 percent) to 2,870.99. "Sentiment was strengthened... amid speculation of further stimulus in the form of increased spending by China, and encouraging comments from political leaders in Greece pertaining to their interest in maintaining their country's membership in the euro," said Briefing.com. Bank of America led the Dow blue chips higher with a 4.1 percent gain, followed by China-sensitive Caterpillar, up 2.9 percent, and Alcoa, 3.0 percent. Chesapeake Energy jumped 3.4 percent on the news late Friday that corporate raider Carl Icahn had built a 7.6 percent stake in the company and signaled he would try to shake up the natural gas giant's board. On the Nasdaq, both Apple and Microsoft gained 1.7 percent, while the newest big tech counter, Facebook, sank again, bringing its loss on the IPO price to 24 percent. So far eight class-action lawsuits have been lodged against the company in district courts in New York and California alleging that smaller investors were denied information that would have darkened their views of the company in the days before the listing. In afterhours trade shares in Blackberry maker Research In Motion sank nearly 11 percent from its closing price of $11.23 after it warned that it could report a loss in the current quarter. The company also said it had hired JP Morgan Securities and RBC Capital Markets to study its strategic options. Bond prices edged higher with the dollar's gains against the euro. The yield on the 10-year Treasury bond fell to 1.73 percent from 1.75 percent late Friday, while the 30-year fell held at 2.84 percent from 2.85 percent. Bond prices and yields move in opposite directions. Stocks higher on hopes for China stimulus - YAHOO!